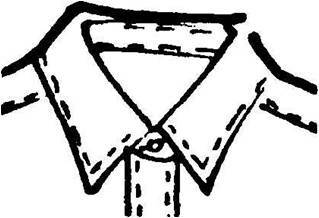 It might be surprising to most people, but collar styles are the most important part of a shirt. Think about it. The entire purpose of a shirt is to cover our torso, leaving tiddly bits of hands and, most importantly, the face uncovered. In fact, the entire purpose of our dressing is to focus all attention on the face. Just imagine someone you fancy, without any clothes. Now where would your attention be….? That means the collar has a VERY important role. It acts like a frame for the most beautiful masterpiece in the world, Your Face. And most importantly, Flatters the picture! And that is exactly what a collar is supposed to do. Do not wear collars that are the same shape as your face as they do not complement your face. 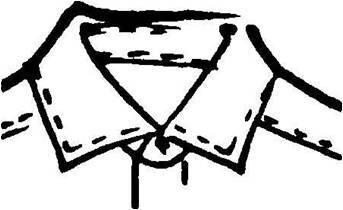 A shirt with a crisp, well-shaped collar, impeccable cuffs and luxurious cotton shows the world that your good taste. The button down collar was first worn by polo players in United Kingdom in the 1800s, and was introduced to America in 1896 by John Brooks, grandson of the founder of Brooks Brothers. Because of its sporting origins, the button down collar is mostly for informal use, and not meant to be worn with a tie. It is a favourite of academics, so, stay away from it in the office. Most facial types are suitable to wear button downs. However, they suit office workers who do not wear ties. Stay away from these if you work in banking, finance or sales. As Heineken would say it, this is “probably the most popular collar in the world”, due to its versatility. It looks great whether with or without a tie, and matches most facial shapes out there. People who have wider and rounder faces. The narrow points provide a counterbalance. The point collars dressier cousin. There are differing terms for varying degrees of spread, so use your intelligence when choosing. 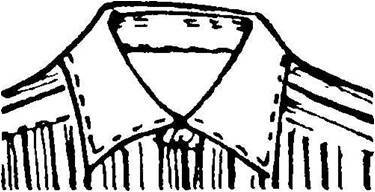 In general, the wider the spread, the dressier the collar. Wear a tie, and use a larger double Windsor knot, as you need to fill out the space between the points. People with long angular faces. Spread collars provide counterbalance by widening your long vertical lines formed by cheeks and jawbones. This tidy, some might even say constrained-looking, collar can nevertheless be flattering, especially on men with narrow or square faces (round-faced men may appear to be a bit choked). Its name comes from a snap (or tab) that connects the collar points behind the tie know. 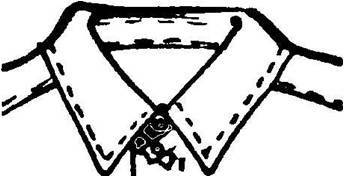 The purpose of the tab is to pull your collar tighter, and produce a tie knot with higher arch and prominence. This is the best one for those with slim looks and round face. It has a slim spread. Behind the tie knot, there is a tab which brings together the collar together. A white collar (usually paired with white French cuffs), so named because it contrasts with the patterned or colored fabric of the shirt's body and sleeves. Some say a contrast collar dresses up a shirt.